Goblin's Cave is the slot with the highest payout of all, 99.32% if betting max coins. 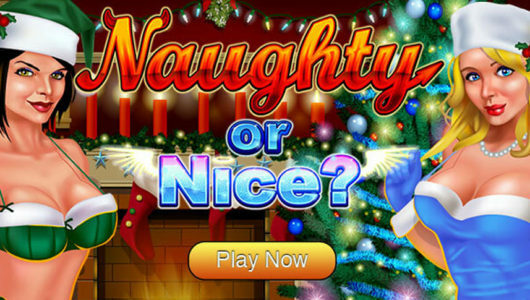 Not as attractive as the others, but this Playtech slot will find its audience among serious slot players. Goblin’s Cave is a great slot game that offers high payout 99.32% when using max bet, going down to 94.3% if betting less. Playtech slots aren’t configurable by the casino so you get the same payout wherever you play Goblin’s Cave slot. 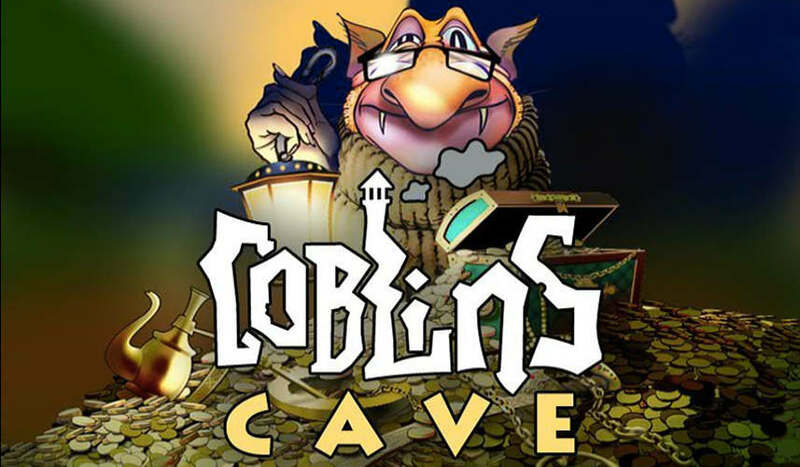 With an RTP percentage of 99.32%, Goblin’s Cave won’t be chewing on your bankroll. The challenge here is finding casinos that host this high equity slot and, most importantly, allow you to fulfill the bonus wagering requirements by playing this slot. 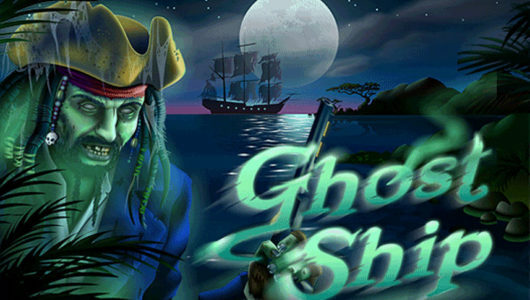 We have found 2 such casinos and their Welcome Bonus is cashable as well. But first things first, let’s review the Goblin’s Cave slot. Goblin’s Cave is a multi-spin slot with 3 reels and 3 rows. Playtech have gone old school with this one but it isn’t necessarily a bad thing, as this slot can be quite rewarding. And since there’s skill involved – only you decide which symbols to hold and which to discard – the experience can be quite immersive. To begin a game of Goblin’s Cave, first choose your bet size. Use the arrows on the bottom-left to choose from a €0.01 to a €5 denomination. Then, choose how many coins to play per line by using the Bet One button. Alternatively, automatically bet five coins by using the Max Bet button. Press Spin to start playing. On each reel you’ll see the Hold button, and it’s the key to playing multi spin games such as this Playtech slot. During the first spin, only the bottom reel will be spinning. After you see the result of that spin, pick the symbol (or two or all three) you wish to hold, and then those symbol(s) will be present on all three rows. For spin 2, only the blank reels will be spun, and you’ll be able to match your chosen symbol for up to three times. If you didn’t hold any symbol, all three rows will be spun during the second spin. The feautre to pick and choose which symbols are discarded and which are held means that Golbin’s Cave slot is strategy-based and as such there is a mathematically correct decision with any given set of symbols. You should never hold the Gold Coins as they have no value, the maximum win with three gold coins is 1x and you don’t want the Gold Coin to take up space of any other symbol. Three ring varieties – Green, Purple and Red, are the first symbols worth keeping, though you might as well disregard them completely. Crowns are keepers, and so are Lanterns and Wild symbols, of course. Goblin will give you a bonus round when you match 3 Lantern symbols in one row. But there’s more – if you get 3 Lanterns in row 1, and 3 more Lanterns on row 2, you’ll get two bonus rounds. If you get Lanterns in all three rows, you’ll get three bonus rounds. When you win the bonus, the goblin will pick three chests from his cave and let you pick one. You’ll open one of the three chests and see what treasure you have won. And this is the ultimate goal of playing Goblin’s Cave slot – to deprive the goblin of the treasure he’s hiding in the cave. Now, the main question – where to play the Goblin’s Cave slot to make the most of your playing time and money invested? Only Playtech casinos have the Goblin’s Cave slot, and even fewer allow it to be played for fulfilling wagering requirements for the deposit bonus. For example, Bet365 do have the game but it doesn’t contribute to the rollover. Casino.com and Mansion Casino have the game, have a nice welcome bonus, and it can be played through by playing this high-RTP slot. At VideoSlots.com, the contribution is 25% as this is the highest-RTP slot among the 1700+ slots on the site. At Boyle Casino and Paddy Power Casino contribution is 10%. They ain’t dumb. 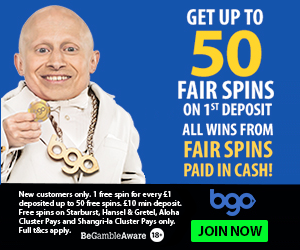 Mansion.com have a regular welcome bonus where rollover is 20x, and the high roller welcome bonus where the rollover is only 15x and the cashable $/£/€5,000 can be completely redeemed just by playing Goblin’s Cave slot. So Mansion is the place to go to. 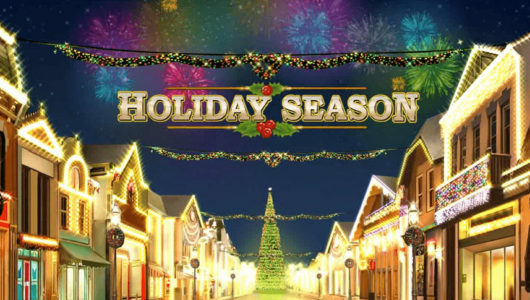 You may take a look at our list of Playtech casinos but don’t get your hopes up – almost all of them are very much aware that Goblin’s Cave is a high-RTP slot that can be used to withdraw the welcome bonus.